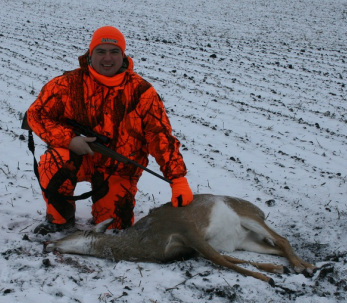 This year, I decided not to hunt. I had used up my vacation time going to China earlier in the year and had blown any mythical "hunting budget" on the trip so it just wasn't feasible to hunt this year. I fully intend to go next year though, and since my two oldest kids have passed their firearms safety classes, we'll be adding some guns to the posse! 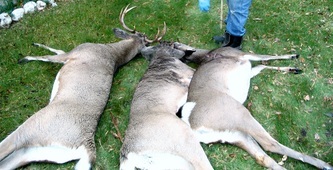 1 Doe about 100 lbs. 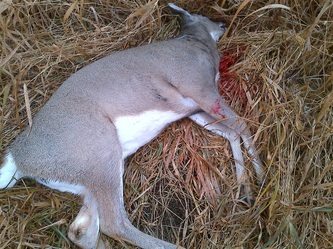 1 Spike Buck about 120 lbs. 1 Eight Point Buck about 180 lbs. 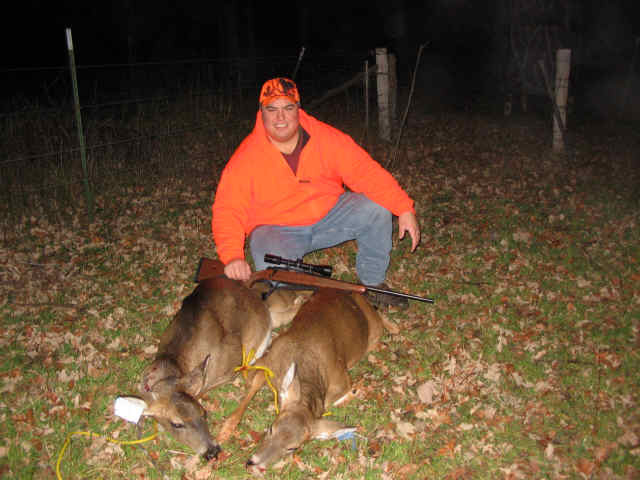 Once again with the only gun I've ever gotten deer with, my Browning A-Bolt .30-06. After several missed shots and many uneventful stands, I got this 130 lbs. 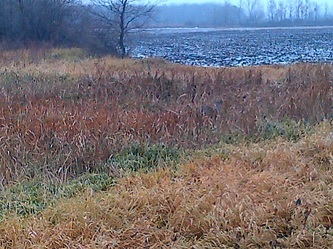 doe on the last morning of the season. I had decided to try a new location, and planted my 5 gal. bucket down a little ways away from the spot where the land transitions from swamp to farm field. I had read that deer will stop at those transitions to sniff around and look for danger before crossing. That's exactly what she did and it gave me the opportunity to take the shot! 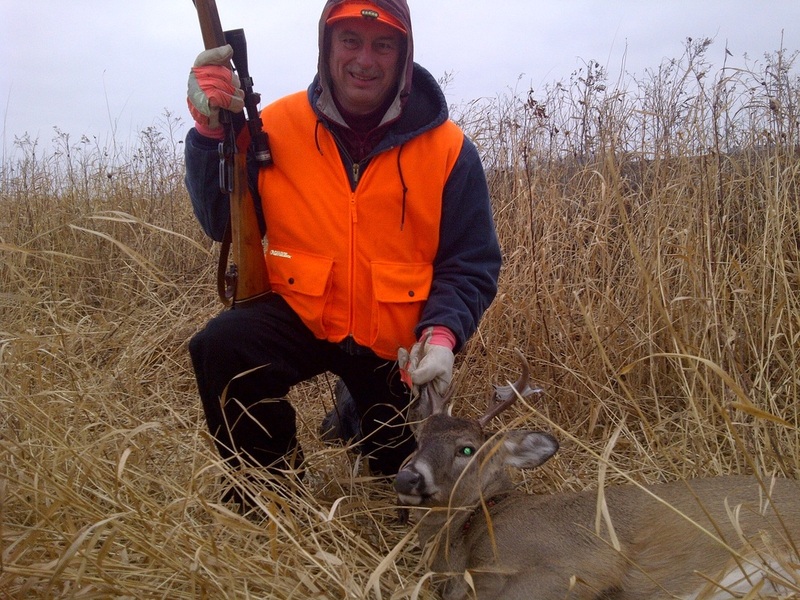 Even though I didn't get a deer this year, my dad managed to get a nice six pointer on the second weekend of the season. 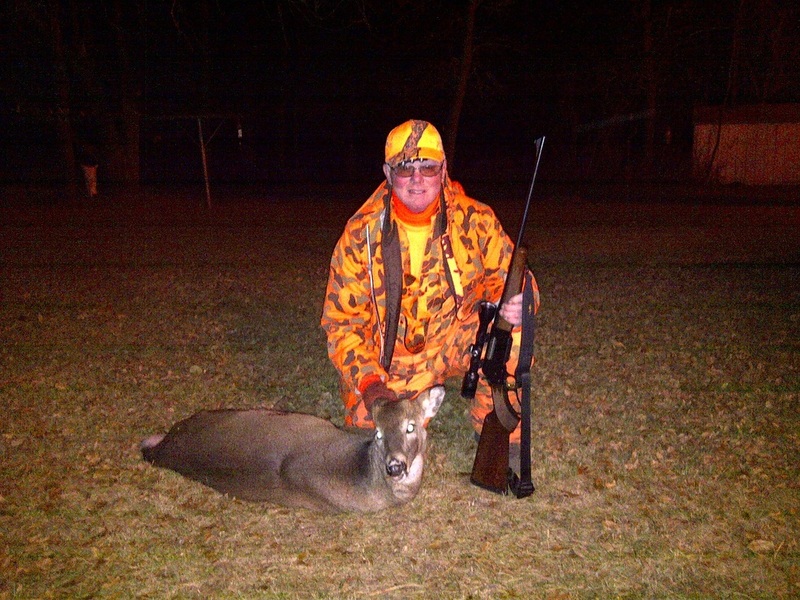 Ken was able to put this small button buck down on the second weekend as well. We didn't see a lot of deer this year, but we had a few chances. 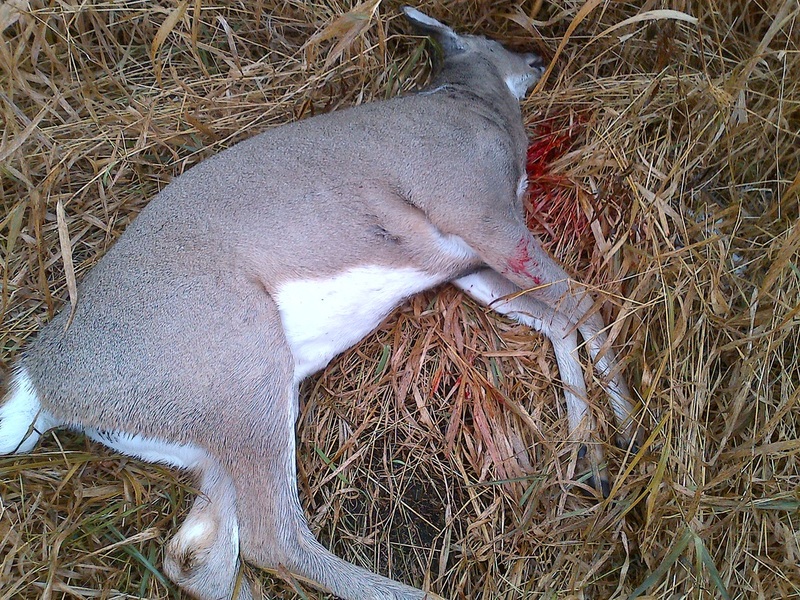 Most were squandered but I was able to drop one nice doe on the second weekend of the season. 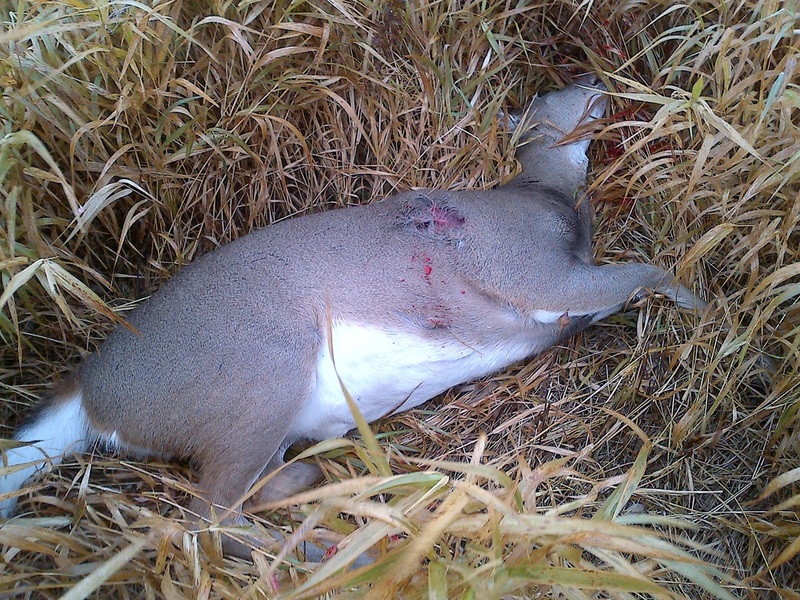 She was taken at about 30 yards on a flat run with my Browning A-Bolt .30-06 using my favorite Winchester Supreme Ballistic Silvertips in 150 grains. 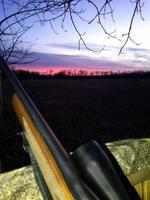 There are no pictures of the hunt this year, because we didn't shoot any deer. None. Two weekends of hunting and only one shot fired. It was a small doe about 250 yards away. I missed. At least I saved money on ammo which has gone sky high. 2 years ago I bought .243 Win Federal Premium for $18 a box. Today it's more like $40 a box..
2008 Was a Bountiful Season! 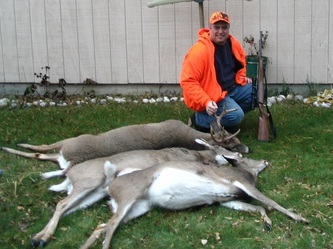 This season produced a plentiful harvest of bucks, each of the four hunters involved took home a nice buck. In addition my Father in Law shot a doe, but we didn't get a picture of it. I got my first buck, a nice 6 pointer, taken down with my trusty Browning A-Bolt .30-06. 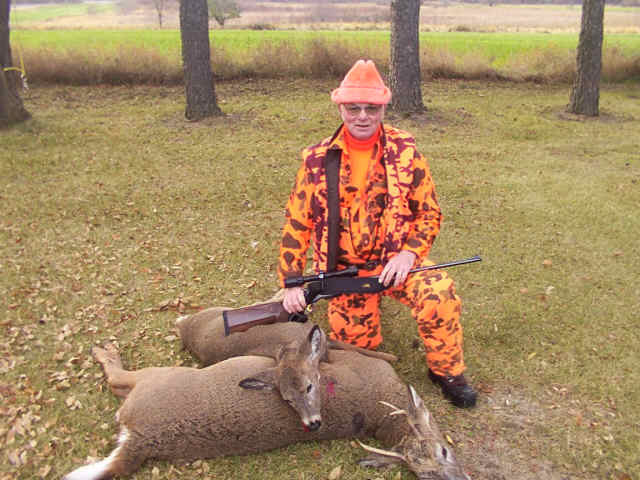 My father in law bagged these two early on in the hunt this year. 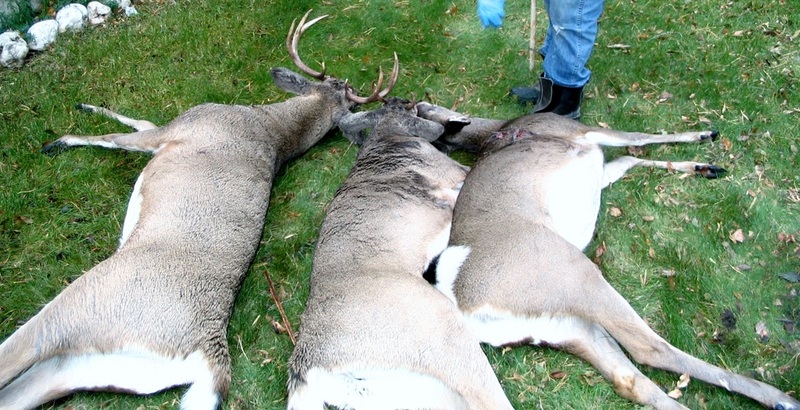 Note the bulk of the buck for only having a small set of antlers. They've been eating well! 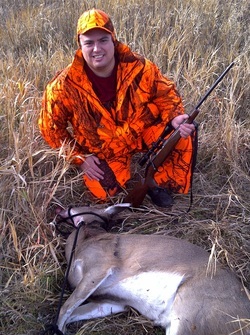 After a full day of driving, posting, and standing, Minsan took this pair of Whitetail around 4:00 in the afternoon. 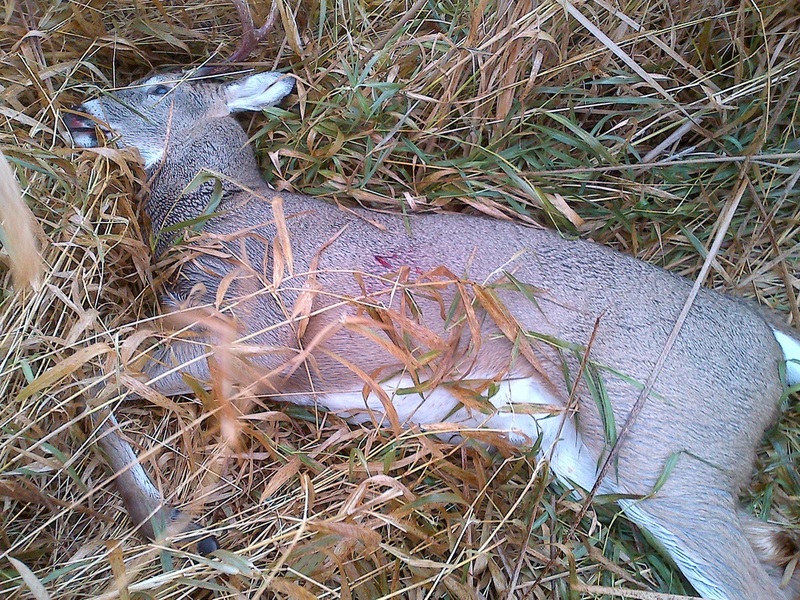 They were taken within 5 minutes of each other at 140 yards and 90 yards using a Browning A-Bolt .30-06 with a Burris Fullfield II 3-9x40 scope, shooting Winchester Supreme Ballistic Silvertip 150 grain ammunition.